“Winchester Mystery House™ is an extravagant maze of Victorian craftsmanship – marvelous, baffling, and eerily eccentric, to say the least. Tour guides must warn people not to stray from the group or they could be lost for hours! Countless questions come to mind as you wander through the mansion – such as, what was Mrs. Winchester thinking when she had a staircase built that descends seven steps and then rises eleven? In 1862, Sarah married William Wirt Winchester, son of Oliver Fisher Winchester, Lieutenant Governor of Connecticut and manufacturer of the famous Winchester repeating rifle. The couple’s life together was happy, and they enjoyed the best of New England society. However, in 1866, their young daughter, Annie developed a childhood disease (marasmus) and died. Sarah never fully recovered. When her husband contracted tuberculosis and died in March of 1881, Sarah was beyond despair. 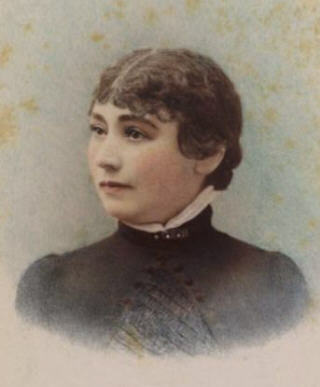 As a result of her husband’s death, Sarah inherited an unimaginable $20 million and nearly half ownership in the ultra successful Winchester manufacturing company. Her share resulted in a $1000 per day salary (the equivalent of $20,000 per day in today’s dollars). Completely distraught by these tragedies, Sarah consulted a medium in Boston, who claimed that a curse had been put upon the Winchester family ~ by the ghosts of those gunned down by the Winchester repeating rifle. The medium told her the that only way to calm the vengeful spirits was to use her $20 million inheritance to build a home that would confuse the apparitions. She instructed Sarah to continually add on to her house, and that if the renovations ever stopped, the ghosts would claim her life. In 1884, Sarah Winchester purchased an unfinished farm house just three miles west of San Jose – and over the next thirty-eight years she produced the sprawling complex we know today as the Winchester Mystery House. Winchester routinely held séances to get building instructions for the next day from the spirit world, from spirits like caretaker Clyde. Clyde still walks the halls, according to local psychic Annette Martin, who claims she has unlocked the secrets of the Winchester house by channeling Clyde. He communicates to her through scribbles. Martin says that Winchester told Clyde to stay and take care of the house. “He comes here to remember the happy, happy times with Sarah and her wonderful organ music,” Martin adds. When Sarah Winchester died in 1922, the construction stopped. Consequently, all the mysteries of the home may never truly be understood — its odd twists and turns, or doors leading to nowhere and stairs headed to the ceiling. The size: the house was originally situated on a tract of land measuring approximately 161.919 acres. Most of this land was sold off at a later date; the house itself covers just 4 acres. The original version of the house featured seven complete stories. Unfortunately, the earthquake of 1906 brought the house down to four stories, and two functioning basements. The paint: In order to paint the entire home once it would take more than 20,000 gallons of paint. The unexplainable is waiting for you inside the Winchester Mystery House, so get ready for an adventure. Visitors may begin touring the house at 9:00 AM. Hours fluctuate throughout the year, so be sure to contact the house administration for more details. Tour prices range from $20 to $30. Annual passes are also available. 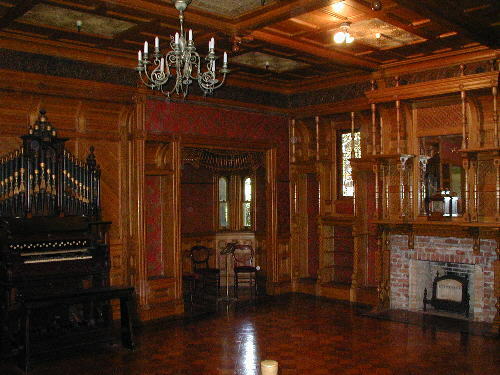 For more information on the Winchester Mystery House, please visit www.winchestermysteryhouse.com. 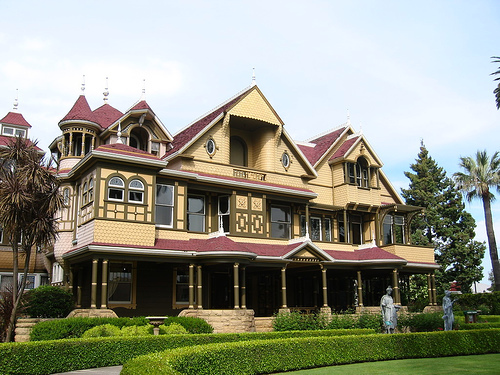 The Winchester Mystery house is located at 525 South Winchester Boulevard in San Jose, California. For a great page about ghosts and orbs captured in visitor photos, go to Ghost in my Suitcase.